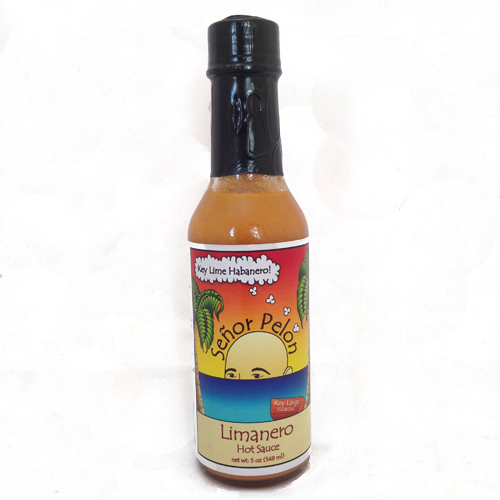 A perfect blend of Heat and Flavor, this sauce features the clean citrus kiss of Key Lime Juice with just enough Heat to entertain the Devils and impress the Angels of the Hot Sauce world. Treat yourself to this perfect pairing of genuine Key Lime Juice and the fruity heat of Orange Habanero. It is perfect for any application where you would use a generic hot sauce. It’s amazing in guacamole, on fish tacos, in soup, oysters, or on a home made Señor Pelon Tamale! And it’s Keto friendly with 0 g sugar and 0 g carbs per serving!